Nestled on the edge of the New Forest, the new training facility for Southampton Football Club is a state of the art training academy designed to blend seamlessly into its natural environment. 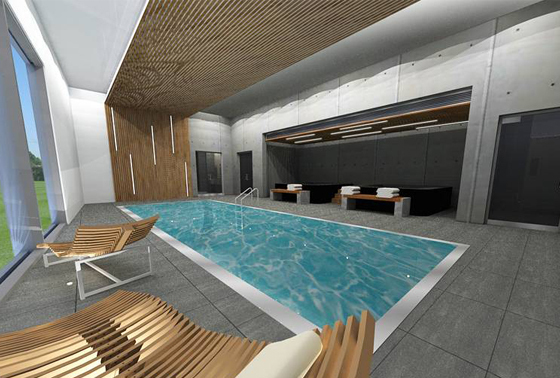 The training complex comprises a two storey main building housing the fitness rooms, restaurants, treatment rooms, media suite, offices and main reception. The building is designed as a reinforced concrete frame to first floor with a steel frame above to suit the long spans roof geometry. Internally some of the reinforced walls will be exposed as high quality polished concrete surfaces. 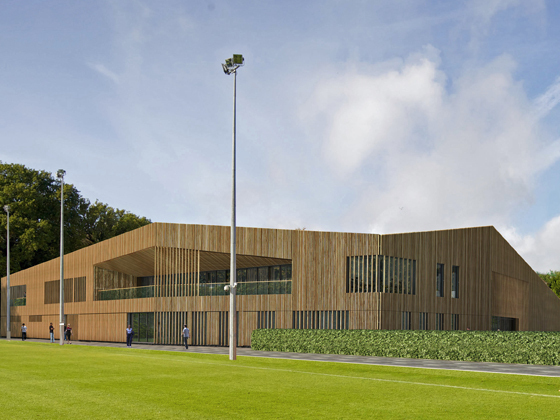 The external elevations are timber clad to blend with the woodland setting with glazed areas at first floor set back to provide for a viewing balcony overlooking the main training pitch. Ancillary facilities around the site for spectators and groundsmen were also provided as part of the scheme. Flood alleviation measures were critical on this site and a number of attenuation measures were incorporated in to the landscaping and drainage scheme.